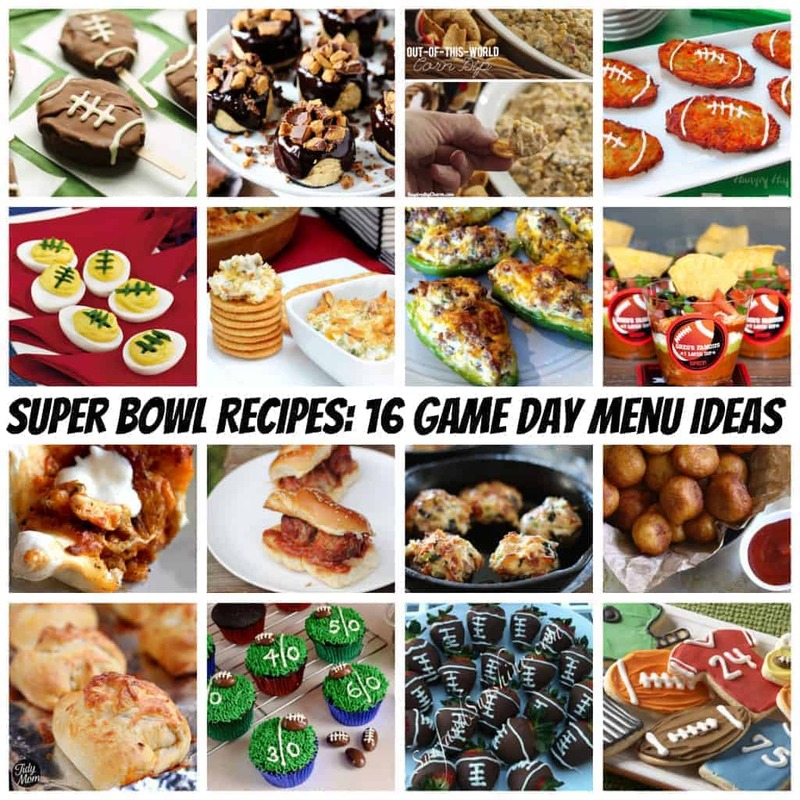 Super Bowl is coming up fast, and that calls for a super menu of game day foods! We are excited that the Seahawks are in the running but really, I’m one of those that is more looking forward to seeing this year’s commercials. It’s also a great excuse to entertain friends and try some new recipes! 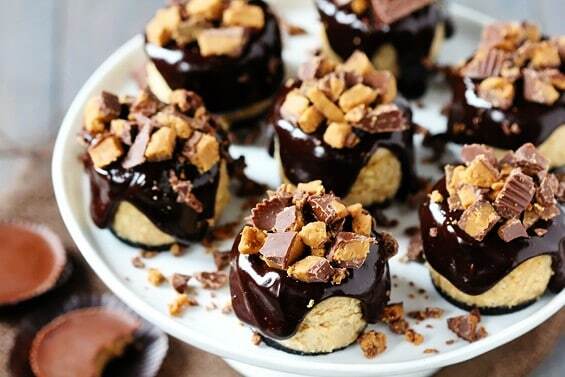 Super Bowl is a great excuse for me to try making these Reese’s Peanut Butter Chocolate Mini Cheesecakes from Gimme Some Oven. Don’t they look yummy? Of course, if I want dessert, I should eat my veggies first…so I’ll start with this Out of This World Corn Dip from Inspired by Charm. I love appetizers with a kick, so ours will be spicy. 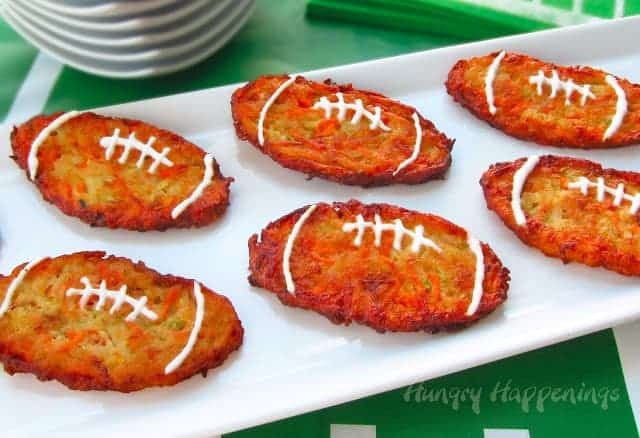 A great way to get the kids to eat veggies are to disguise them, like with these football Zucchini Fritters from Hungry Happenings. 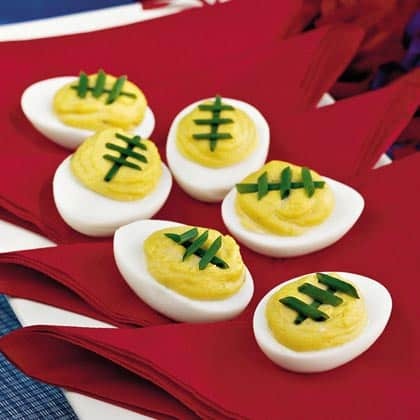 Deviled eggs is a party classic, but we found this fun football twist on My Recipes! 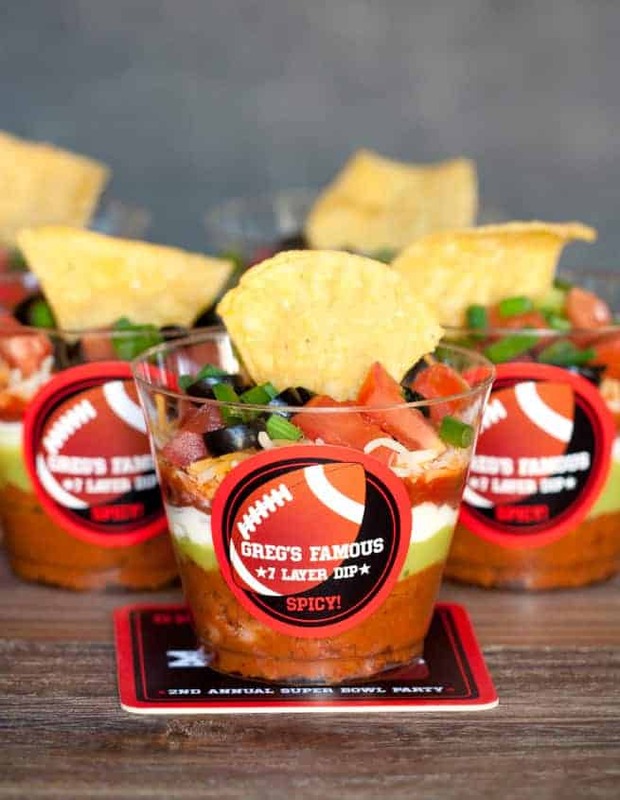 You can never have too many dips or appetizers for watching the Super Bowl. 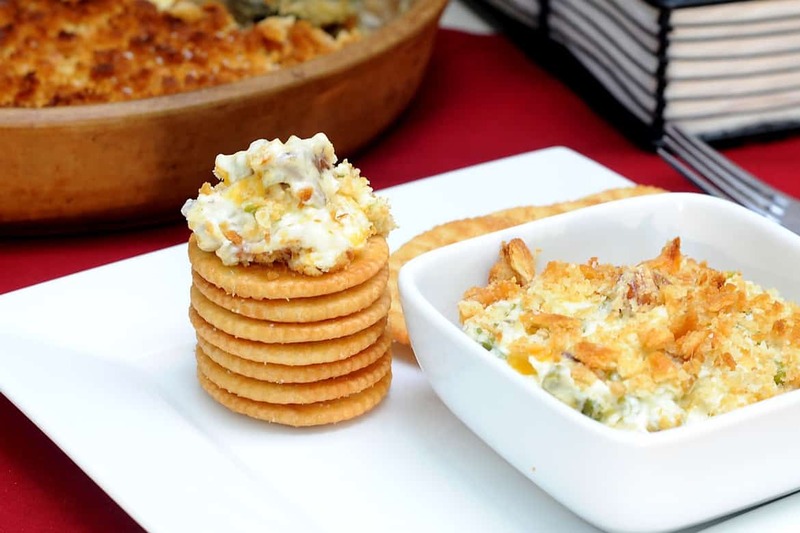 This Jalapeno Popper Dip from Simply Gourmet is calling my name! 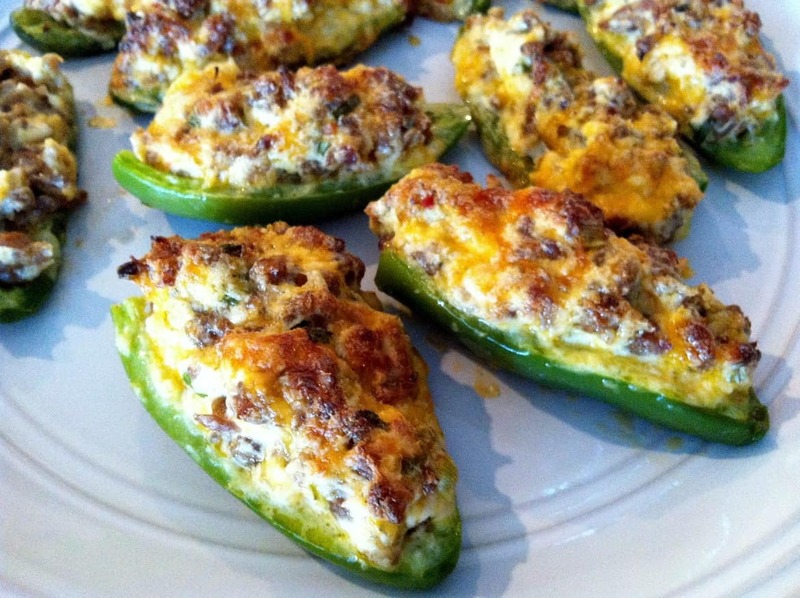 While I’m thinking about jalapenos, these Sausage Stuffed Jalapeños that Low Carb Layla made are making my mouth water! And how cool is My Own Labels‘ idea of serving seven layer dip in individual cups?!?! You can’t watch football without some buffalo chicken, why not mix it up with these Buffalo Chicken Cupcakes from Dough Messtic? 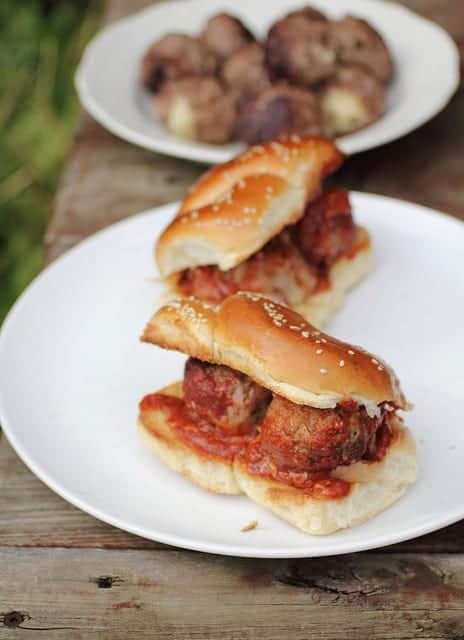 These Mozzarella Stuffed Cheese Meatballs from Adventuress Heart are pure genius. Get in my belly!! Do you love pizza as much as I do, but don’t want to serve whole pizzas? 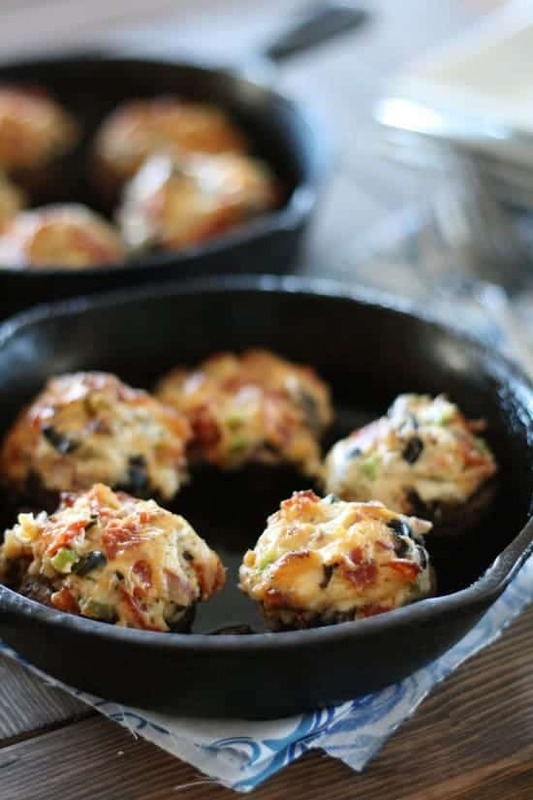 Check out these Pizza Stuffed Mushrooms from Laurens Latest. I’m totally drooling over here. 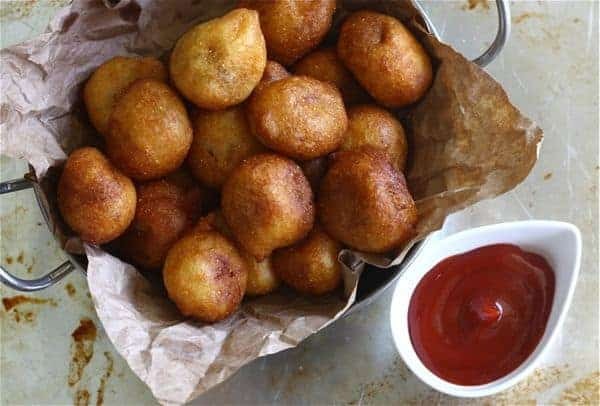 These Corn Dog Tots from A Cozy Kitchen would be the perfect finger food and leave plenty of room on your plate for other items! Make sure you have barbecue sauce, ketchup and mustard available for dipping. 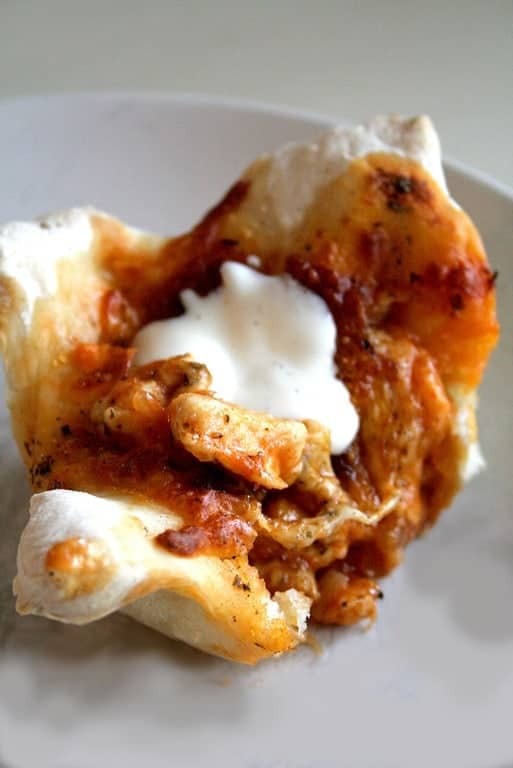 I’ve never tried Chicken Enchilada Puffs, but I’m pretty sure that Tidy Mom‘s recipe are sure to go quickly. 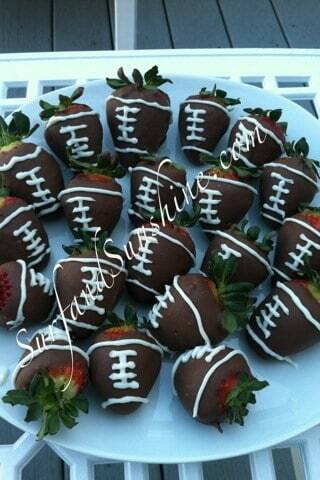 As for dessert, I found a bunch to try that would work great for a football party. 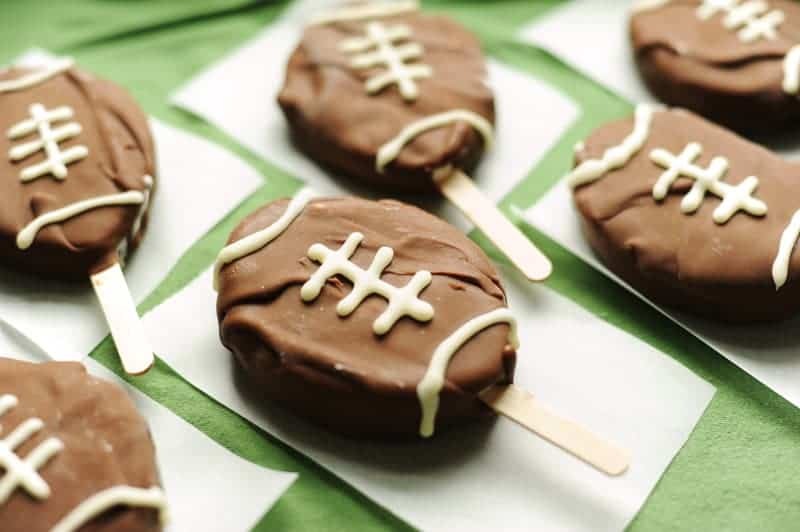 From cupcakes to ice cream bars, they all look tasty! 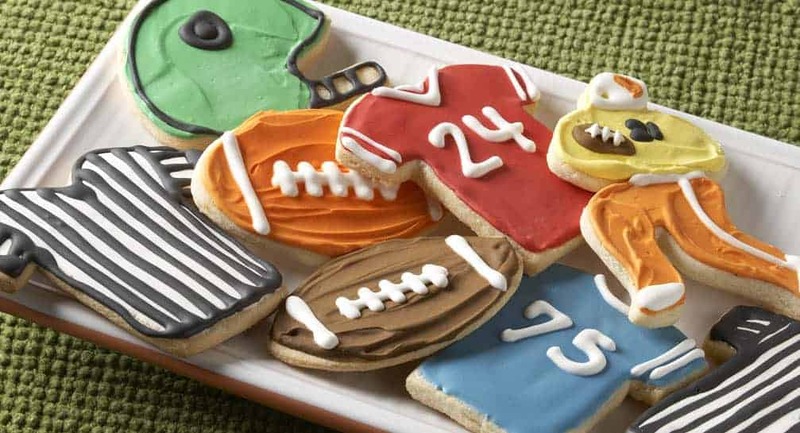 Football Game Cookies from McCormickWhat will you be eating during the Super Bowl? 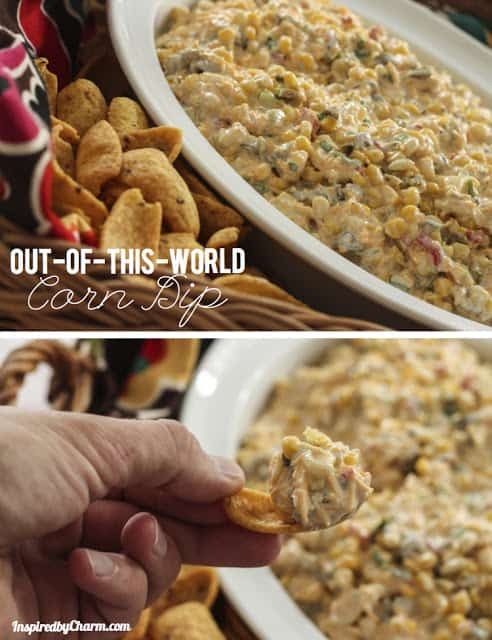 I would be first in line for that corn dip and stuffed jalepenos! Yum. 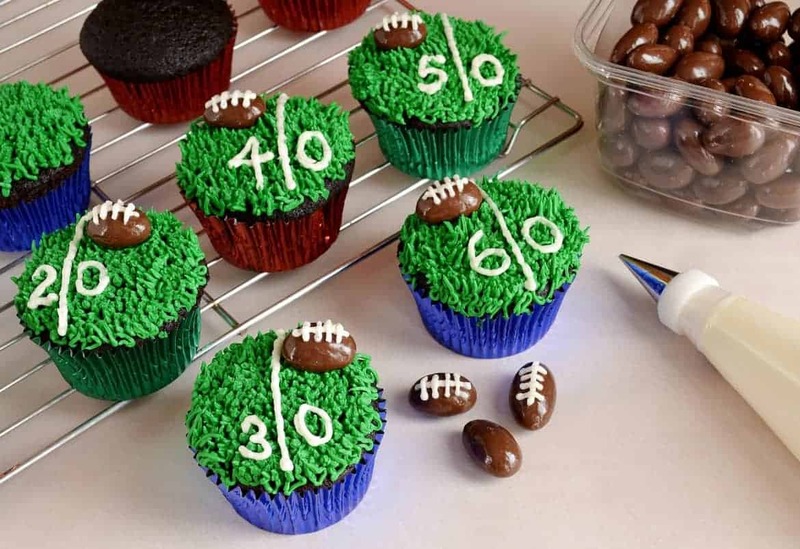 Such cute ideas, these would be great for a footbal themed birthday party too!